If your wedding reception is in a simpler indoor space, consider bistro lighting or lanterns to add interest and illuminate your tables and seating. 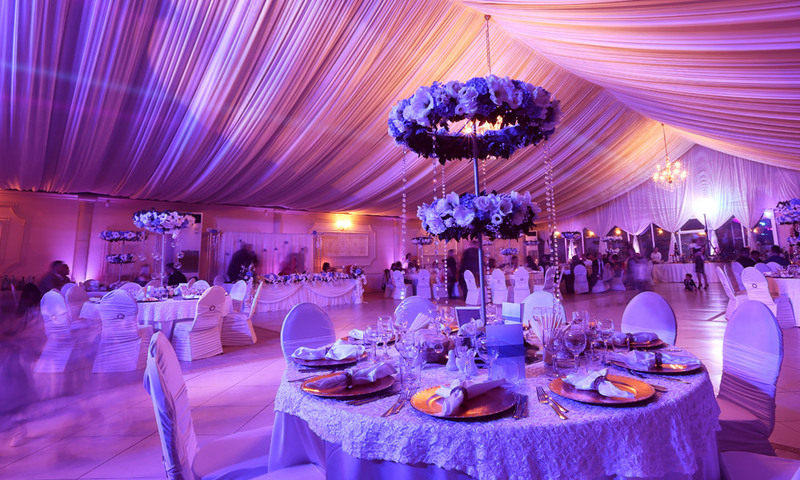 You and your guests will be sure to experience remarkable meals, conversation, dancing beneath the charm and delight of glowing string lighting. For an ultimate romantic atmosphere and photo backdrop, drape strings of fairy or globe lights above the bride and groom’s table. You and your sweetie will look picture perfect among the soft yellow glimmer. In more “showy” venues, consider uplighting to accentuate pillars, columns, and other such detailed architectural features. And if you’re feeling extra adventurous, consider colorful uplighting. Mix warm washes of pink and orange to add excitement and activity to your space or blend cool washes of blue and purple for a more enchanted atmosphere. 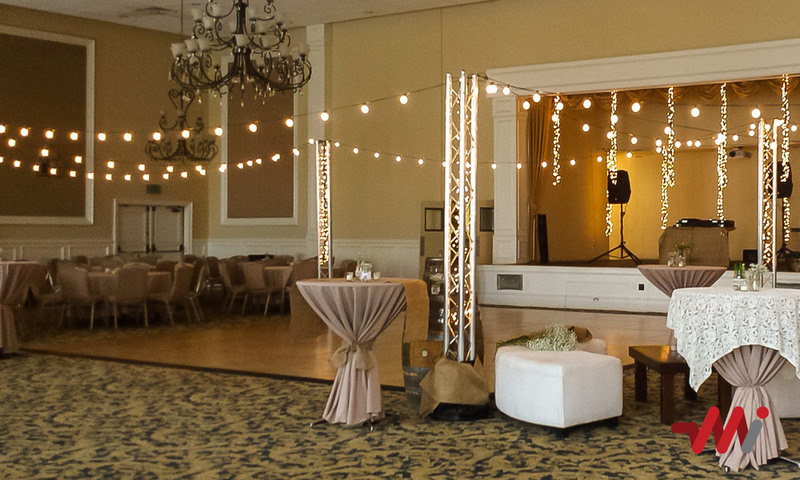 To fully experience the romance and beauty of your carefully chosen venue, design your uplighting deliberately and perhaps even combine it with elegant chandeliers, candles, or pin lights on centerpieces. 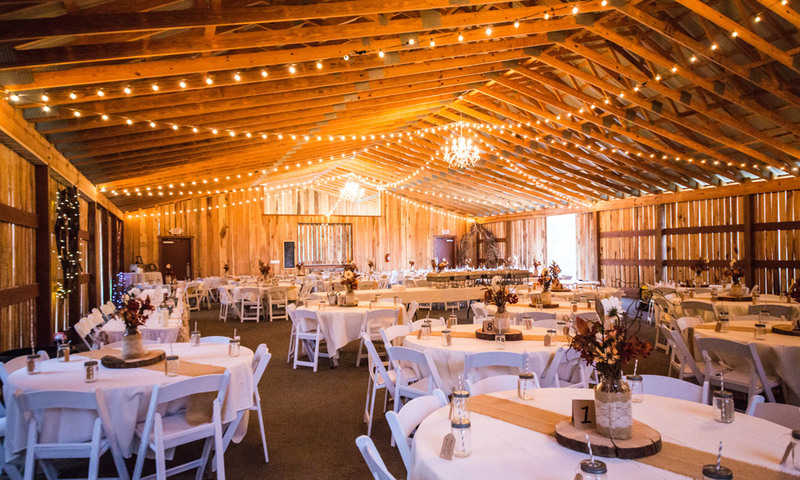 Bring the indoors outside with exceptionally designed wedding lighting. For an absolutely entrancing day and night, line the aisle with lanterns and drape twinkling lights over the surrounding foliage. And to add extra magic to the reception, create a ceiling of fairy lights that will leave your guests staring at the beauty of the night sky. 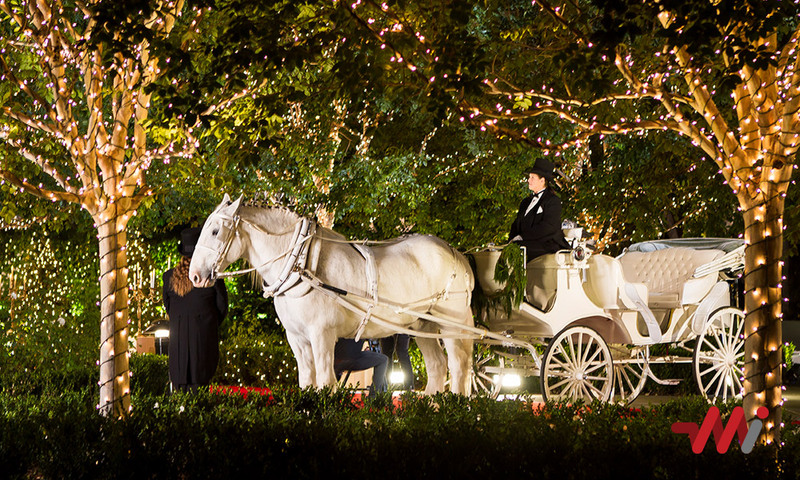 With the help of lighting design professionals, all your outdoor wedding dreams can become a reality. As we all know, the success of any celebration relies on the dance floor. For your wedding, the dance area is often where you and your guests spend most of their day and (hopefully!) night. Consider installing pin lights that create an interesting dotted pattern on the floor. Or for an elegant touch, project a textured pattern or the bride and groom’s initials on the floor. If your wedding reception is outdoors, hang colorful paper lanterns from the surrounding foliage or string globe style lights to reflect the night sky. Whether your reception is indoors or outdoors, you and your guests will dance the night away beneath the magic of glowing lights. If you’re looking for more lighting ideas to introduce drama, romance, and elegance to your wedding, give us a call at Mobile Illumination. We’ll visit your site, analyze the space, and come up with lighting solutions that best fit your expectations and desires. And with our easy installation and take-down process, what more could you ask for? We’ll work hard to make your wedding bright, beautiful, and the experience of a lifetime.